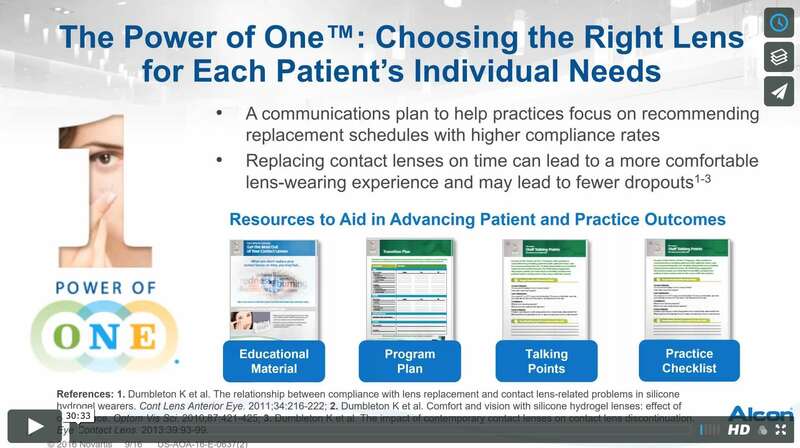 In this ODwire.org Webinar, Pamela Lowe, OD, FAAO of Niles, IL discusses the latest in contact lens materials and designs. The focus of the talk is on how this new tech is used in Alcon’s contact lens product line; we’ll review the technology, and how each lens can work for different patients and lifestyles. Click here to watch the show and join the discussion with your peers. Dr. Lowe is the Past President of the Illinois Optometric Association and is an Adjunct Clinical Professor at ICO. She has been in private practice since 1992. Dr. Lowe was compensated by Alcon for her participation in this webinar.